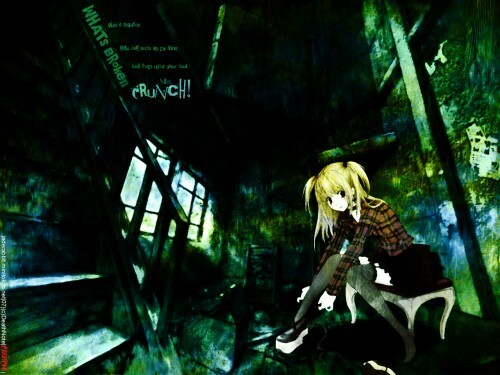 Minitokyo »	Death Note Wallpapers » Death Note Wallpaper: Crunch! WEll someone thats important to me asked me to start making my hard bright grunge style again this is for her i hope she likes it ^_^, its been so long since ive done this style of mine, ill try to get a few more out sometimes latr. AS always comment and enjoy! "ps. ur teeth are rotten, and ur breath stinks, an i think ur mom dresses u funny." This is really nice. I'm normally an avid hater of text, but you did a really good job! If only this was a 1440+ resolution I'd give it a 10! Good Wallpapers from Misa are so rare ! Wowwwwwwwww simplemente increible, me encanta!